A beautiful staircase has the potential of becoming a stunning focal point in any home. In fact, the staircase is an accent piece by nature. It has been an eye-catching element from the beginning and as its design evolved over the years, its status never changed. In fact, it became more and more important and interior designers have made it the star of their projects. But a beautiful staircase is defined by several aspects. The design is, of course, very important. But, most often, it’s the handrail that makes it stand out. 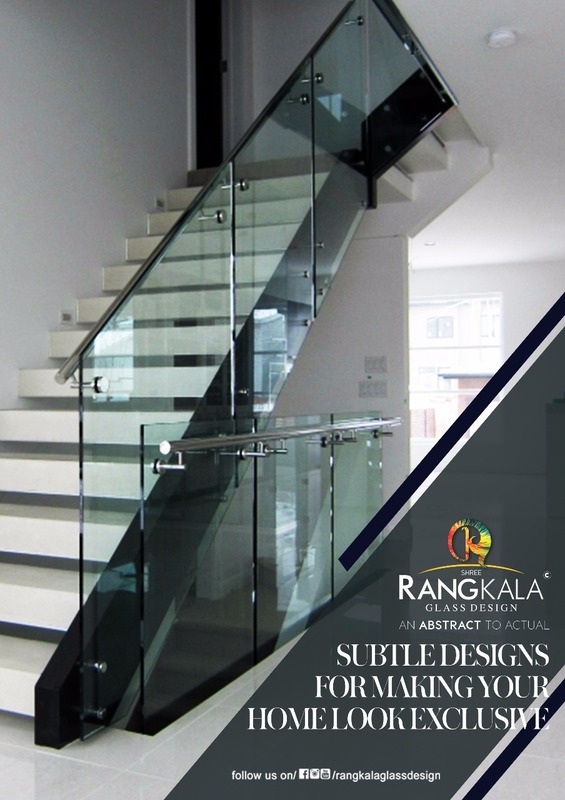 Acid work, crystal work and pasting work can be done in this glasses used for staircase railings. They are strong and sturdy constructions. For this modern staircase, the design is cohesive and chosen to seamlessly integrate into the décor. this blog and I’m inspired! Extremely helpful information specially the remaining section 🙂 I handle such info much.